Summer can be a hugely busy period for venue operators in hospitality, retail and other industries that rely heavily on a casual workforce. During this time, a huge influx of backpackers with working holiday visas can create problems for small business operators looking to onboard new staff quickly. Without the support of a HR team on boarding and ongoing compliance can go by the wayside. 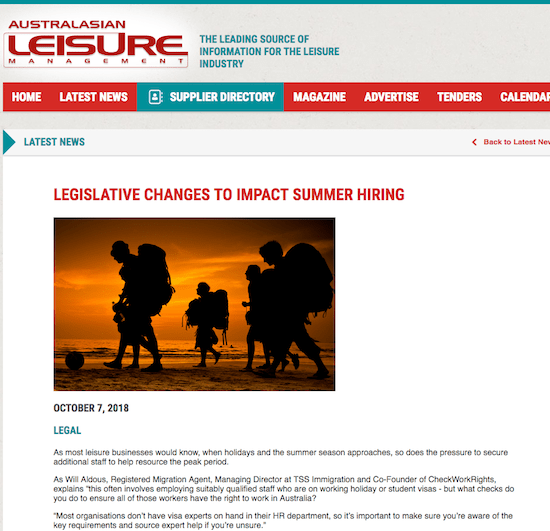 Will discussed these trends and the effects recent legislative changes will have on businesses hiring international employees over the summer season, including the benefits of automating on-going compliance.